Super Mario Maker is coming out in less than a month, and Nintendo has released even more tantalizing info about it. 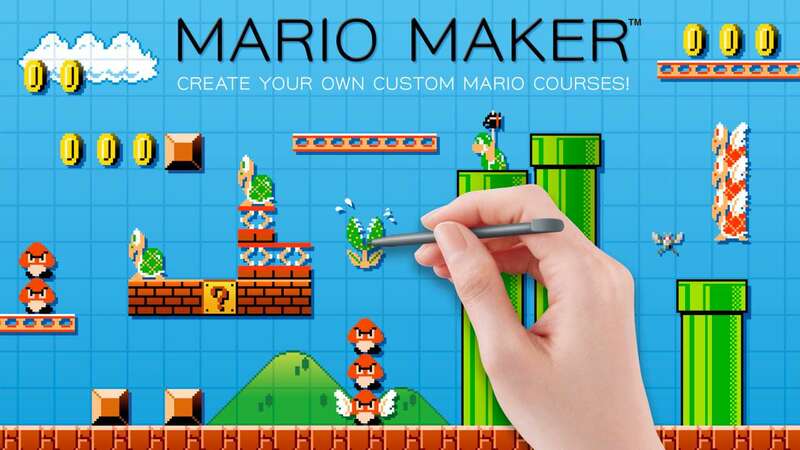 In Super Mario Maker you'll get the opportunity to build your own Super Mario Bros. stages. You'll also get a chance to play either over 60 pre-made courses that come with the game, or stages posted online made by players around the world. The latest info shows even more cool options the game offers. You'll be able to create and use your own sound and visual effects in levels. You can even set up music blocks so that when jumped on in order they'll play a tune! You won't get all these options from the beginning though. You'll have to spend at least five minutes with the available tools before the game will set up an unlock of more options for the following day. This forces players to learn the toolkit gradually instead of trying to cram everything they can into their first level. It will take nine days to unlock everything, which I think it a unique way to help players control their enthusiasm. Last but not least, 50+ amiibo will be supported. That means that all those who are hoarding theirs still in the package (myself included) may be tempted to finally unseal their pristine amiibo. If you're as excited as I am, you'll have trouble waiting till September 11 when Super Mario Maker finally releases in North America.